Most of the companies hiring contractors for various law enforcement positions work on a contract basis. Individuals are hired either short-term or long-term for the life of the contract. Often the contract is renewed and the employee's contract is renewed, but contract workers are not considered regular employees. In addition to federal government contract law enforcement jobs, local and state governments such as sheriff departments sometimes contract law enforcement. There is a wide range of opportunities for law enforcement personnel in both the civilian and government sectors. Engility Corporation is one of the largest contractors supporting the U.S. overseas working with foreign governments in developing their professional law enforcement organizations. The company opened in 2012 as an independent operation of leading defense company, L-3 Communications Corporation. The missions focus on police operations, corrections, courts and forensics. The company supplies personnel for "critical services and support to the US. Department of Defense, Federal civilian agencies and allied foreign governments." You can search the website database for current open positions and apply online. Visit Man Tech International's job database and apply online feature. DynCorp provides support to national security in the U.S. and is also involved in providing services for foreign policy objectives. The company hires U.S. citizens and permanent residents eligible to work in the U.S. for security positions as well as technical roles. Allied Barton offers security officer solutions with more than 120 regional and district offices in the U.S. The company provides a wide range of security personnel to individuals, organizations, companies and agencies. You can search the online database and then apply for those positions that interest you. 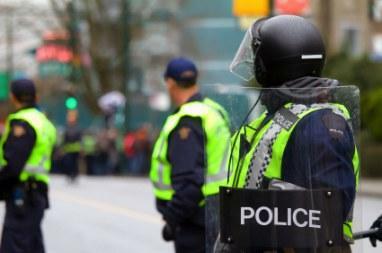 Here is a brief list of some of the other companies offering security services; oftentimes they seek out contract employees for law enforcement positions. Internal Security Associates, LLC seeks armed security officers for contract positions. The Midtown Group provides a wide variety of contract positions with Federal, DC and local government agencies. Many jobs are unadvertised and require sending your resume to the recruiter. Although not all companies looking for contract law enforcement utilize job listing websites, you may be able to find your next contract job through one of these job databases specific to law enforcement. Security Clearance job site requires registering before you can access the database. Jobs listed are for U.S. citizens. Shooter Jobs requires registration to access job details for overseas high risk contracting jobs as well as local armed security and law enforcement. iHire Law Enforcement offers law enforcement job searches either by job title or state. It is limited in search capabilities, so regular and temporary employment opportunities are listed together. Employment scams are designed to solicit fees and harvest personal information for identity theft. You should guard your personal information when seeking employment the same way you would under other Internet interaction. If you have doubts about a potential employer, spend time researching the company to make certain you are communicating with a legitimate representative. Also keep in mind that no legitimate company is going to ask you to pay them for a job or job listing. If your goal is to find work in the field of law enforcement, contract positions are a great way to get into a company and see what its culture is and if it is an organization you'd like to continue to work with. Many contract positions turn into long-term contracts or even lead to full-time employment. If this isn't your goal and you prefer working strictly contracts, then you can have an ever-changing and exciting career with many opportunities.